Currently there are two popular intelligent lighting concepts. One is changing the illumination by sensors to adapt to the people. The other is to take light as transmission medium material and people as receiver. LED intelligent lighting control includes the application process of turning on and off, illumination adjustment, light mixture, color temperature (CCT) adjustment and so on. If LED lighting is a shining victory crown, then LED intelligent lighting must be the most shining peal on the crown, which is the most effective method to make profits for the enterprises as well as the ‘Blue sea’ in the competitive market. For LED enterprises, the meaning of the light is not only lightening the house, but there is subtle change in people’s life.In later September of this year,one giant Dalianda group in electronics distribution industry introduces a series of new plans for intelligent electronic products on the electronics service platform at Dalianda cloudy termination.The most remarkable scenario is the‘Wireless colorful LED lighting control’which is mainly for intelligent house and intelligent lighting brands. To put it simply, the application of this new scenario can make the users control lighting system at home very easily by phone. 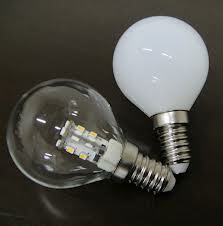 They can even control the brightness, colors, illumination effects of their home lamps. The nature of this scenario is integrating the intelligent cellphones and LED lighting system by wireless communication system to achieve the real products creativity.Actually the products and their technology creativity come from the inharmony and conflicts like the fighting between Guanyu and Qinqiong.